Blade Runner 2049, a sequel 35 years in the making, is mere months away at this point and we finally have a full-length trailer for it. A brief and very vague teaser was released a few months ago, giving us a sense of the very authentic feel this movie is going to have, but it didn't give us much else. Now, with the release date fast approaching, it is time to watch the new trailer for the long-awaited Blade Runner sequel that serves as some very exciting evidence that this movie is actually happening. Warner Bros. decided to release the new Blade Runner 2049 trailer online today, the same day that they are doing a big Q&A with the cast and crew of the movie. After months of pretty much only knowing that there is going to be a sequel to Blade Runner coming to theaters, it looks like we are finally going to get some answers and some context in regards to what this highly-anticipated sequel to one of the best sci-fi movies of all time is going to be. This new footage, and footage we have seen previously has proved that, even if the movie isn't everything we hope it will be, it is going to look absolutely stunning, which could be worth the price of admission alone. Blade Runner 2 will be taking place thirty years after the events of the first film, still set in Los Angeles. This time, we will be focusing on a new blade runner, LAPD Officer K (Ryan Gosling), who digs up a long-buried secret that has the potential to plunge what's left of society into chaos. His discovery leads him on a journey to find Rick Deckard (Harrison Ford), a former blade runner for the LAPD who has been missing for 30 years. There are a great many sci-fi fans, and movie fans in general, who are very excited for Blade Runner 2049. However, despite the iconic status that the original Blade Runner has gained over the years, the movie was not a financial success at the time of its release. Far from it. That makes Blade Runner 2 a potentially risky prospect. This is a movie that could wind up being a blip on the radar, or one of the surprise box office hits of 2017. At this point, it really is up in the air. Warner Bros. does have a pretty solid release date on their side. The only other major release that Blade Runner 2049 will be competing with directly is My Little Pony: The Movie and, safe to say, those movies are not gunning for the same audience. That should allow it a great opportunity on its opening weekend. If it is great, and the word of mouth follows, Warner Bros. could be in good shape. Ridley Scott did not step into the director's chair for Blade Runner 2049, though he is on as a producer. Instead, it is director Denis Villeneuve (Prisoners, Sicario, Arrival) who is bringing Replicants back to the big screen. The cast for the movie includes Ryan Gosling, Harrison Ford, Jared Leto, Robin Wright, Dave Bautista, Mackenzie Davis and Edward James Olmos. 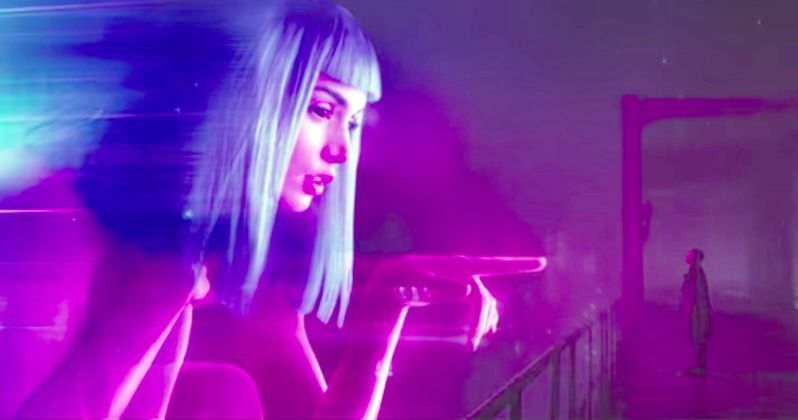 Blade Runner 2049 is set to hit theaters on October 6. Be sure to check out the brand new trailer for yourself below.